Sending SMS from websites plays an important role nowadays. For an eCommerce website, it is a must-have feature to send SMS notification to your customers. With this process, it will confirm the purchase. 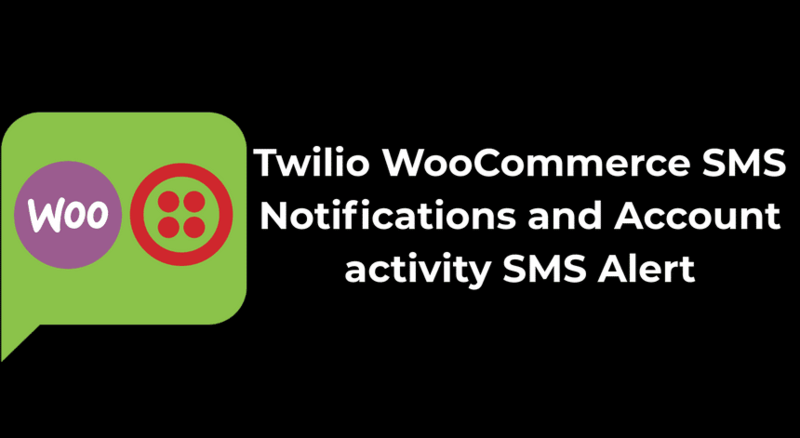 By keeping all these in mind, I have developed a plugin Twilio WooCommerce SMS Notification with Account Activity Alert Plugin for WooCommerce based online store. WooCommerce is a plugin for WordPress that can help you sell your products through your WordPress site. On the other hand, Twilio is a popular API provider for sending SMS and supports a huge amount of countries. Sends SMS when someone buys your product from your WC store. Your customers will get SMS for various order status, i.e when making a payment, completed order, failed order, cancellation of an order, when the order is on hold or pending order status, when getting a refund. You can disable or enable any type of SMS just within clicks from your WordPress admin dashboard panel. This plugin can also send SMS alert for account activity. Currently send SMS when a user update address, update account details, change the account password, account creation SMS and login alert SMS. Each type of these SMS can be disabled/enabled from the WordPress dashboard. Twilio WooCommerce SMS plugin will also let you send SMS directly from the order edit page. You can send manual SMS too just by typing a phone number and clicking on the send button. This plugin will also add the country flag for billing phone on checkout page as well as registration phone field. Support built-in SMS tags in SMS text. Some of the tags are [billing_phone] tag that will replace with customer’s billing address, [order_id] will be replaced by the ID number of order and so on. These are the great features of this plugin. If you want to know more about this plugin, then contact our team.